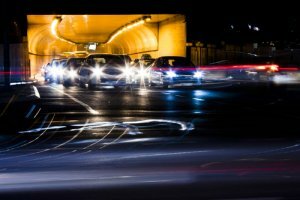 Home|Blog|Motor Vehicle Accidents|Car Accidents|Preventing Car Accidents|Driving Safety|Don’t Let Nyctalopia Cause Your Next Car Crash! Night blindness, known as nyctalopia, occurs because of various diseases that cause degeneration of the rods of the retina (the sensory cells responsible for vision in dim light). Night blindness caused by nearsightedness, cataracts, or vitamin A deficiency is treatable. Corrective lenses, such as eyeglasses or contacts, can improve nearsighted vision both during the day and at night. But many drivers complain of poor night vision, even with glasses on. Others, who may have been told they don’t need glasses, may feel they have poor vision at night and/or when it is raining. Cataract Formation: As normal part of the aging process, cataract formation gradually clouds one of the lenses in the eye, reducing the amount of light that can enter the eye. Dry Eyes: If you have dry eyes, you will have poor-quality tear film. This impairs vision, especially at night. Scratched or Pitted Eyeglass Lenses: Fine scratches and pits in the lenses will affect the optical quality of the lens. This, in turn, blurs the vision and causes glare issues, especially from oncoming headlights. Retinitis Pigmentosa (RP): This rare disease destroys the part of the eye that senses vision at night, resulting in serious night blindness. Replacing scratched or damaged eyeglasses. Most importantly, remember to be a prudent, defensive driver. If you are uncomfortable driving at night, don’t drive. Find someone else drive you. If you or a loved one has been involved in any type of automobile accident, contact Bell & Pollock, P.C. for experienced help establishing your Legal Game Plan for financial recovery. Call (720) 613-6736 or email us for a free, no obligations consultation and essential information regarding your legal options.